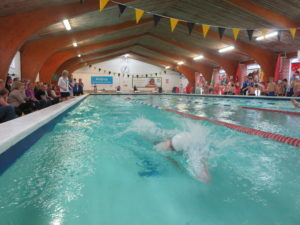 Well done to all the swimmers who attended our Novice Gala. We hope they enjoyed themselves and learned from the gala today. 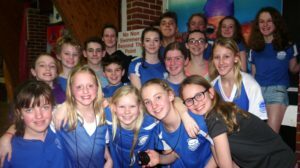 Our 8th Annual Novice gala at the Arena saw a record 52 swimmers competing. I was amazed how we fitted everyone in! We normally hold this gala at Lancing College where there is plenty of seating, but couldn’t have it there this year. Thank you to those who helped carry chairs/benches round for us. The swimmers were all fantastic and lots of PBs. I hope they all enjoyed themselves and of course learned a bit on the way. Being a teaching gala we were a little relaxed with the stroke rules, but will address all the issues that need work (with helpful notes made by our judges) in training. This does of course take time and needs lots of practice to get right every time. Most of our swimmer helpers have swum in this gala and now look at them! 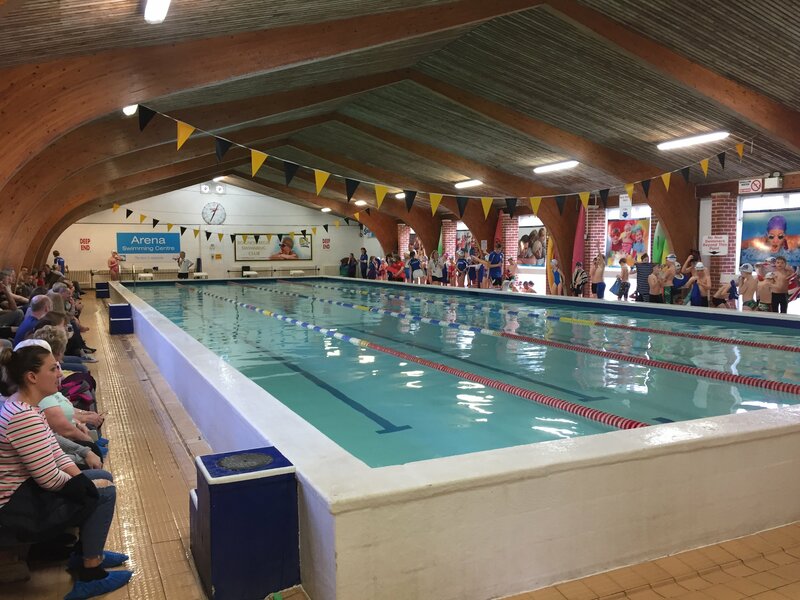 So, a huge thank you to all wonderful our swimmer helpers: Tom Hogg (starter), Will Le Merle, Archie Strowger, Abby Smith, Madi Walker (judges), Jessie Brown (announcer), Stephen Redman, Heidi Cameron (chief timekeepers), Becky Smith, Matty Smith, Ella Napier, Ella Thornburg, Georgie Howell (timekeepers), Erin Humphries (runner), Luke Frost, Amber Brown, Amelia Atterbury (team managers), Marissa Netherwood (whip) and Ella Porter (in water demos). Also thanks to our adult helpers Tim Thornburg, Zoe Napier, Bernie Condron, Helen Smith, Tamsin Netherwood, Andrew Slade, Ben Algar. If your child did not collect their ribbons at the time, please pick them up from our help desk on a club night. Don’t forget to check if your child has achieved an ASA Competitive Performance Award whenever they do a gala. The times for these can also be found on our notice board between the two pools and badges may be bought from the Help Desk. Our next internal club Gala is the STAG 2017 on 15 July, hope to see everybody there. Parents & Carers will not be left out. Our club referee, Mark Savill, has kindly offered to run another Time Keeper training course and of course there will be Blue Shirt roles to fill so please note it in your diaries and lets make it a really fun Club Family event.